Welcome, DevWars readers! This last week's DevWars competition was pretty great. It was so great, in fact, that I will be summarizing it here! 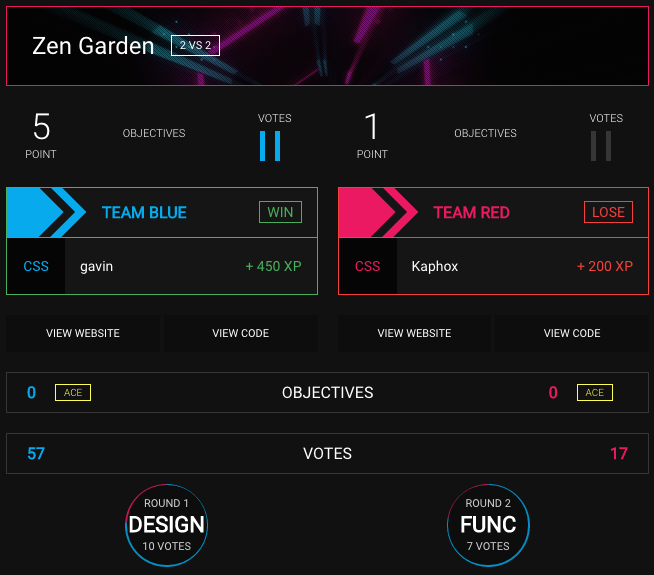 The first match of the day was a Zen Garden game, a matchup of two devs both equipped with nothing but a premade HTML page. The two devs compete using only CSS to style their page according to a theme for points. This week's theme was: pain clinic. Gavin (blue), a veteran to DevWars, went up against a newcomer, Kaphox (red). Gavin won, but Kaphox was a great sport. We always like to encourage new devs to compete, and Kaphox did a great job. Gavin had an excellent series of buttons, and a seamless hero image. Kaphox had a great menu with a simple layout. 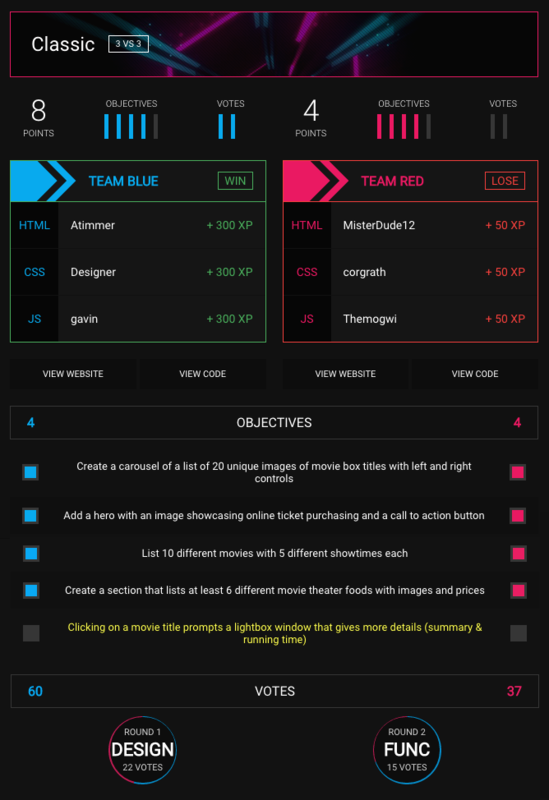 This week's classic match was to create a website for buying movie tickets. Atimmer, Designer, and Gavin (blue) went up against MisterDude12, Corgrath, and Themogwi (red). Both teams completed the four required objectives, but neither managed to finish the fifth bonus objective completely (blue was close). Blue team narrowly won the game, but red team's creative design garnered a lot of attention.